Locksmith Portland | (503) 575-9210 | Locksmith Plus, Inc.
All of our expert locksmith services, including emergencies, are available 24/7. We never charge extra for late nights, weekends or holidays, and we come to you, so call us now! All of our expert locksmith services, including emergencies, are available 24/7. (503) 575-9210! Locksmith Plus, Inc. Portland OR began our business in the early part of the 21st century. We have been in business portion of a decade, and it is our solemn promise to bring 24 hour emergency locksmith service without sacrificing affordability and convenience. For help right this minute, give us a call now at (503) 575-9210, and one of our qualified technicians will be on site as soon as possible! Of course, we are also available by appointment for non emergencies! Please keep in mind that all of the locks and security systems we replace, repair, install, etc. are backed by our 90 day warranty. Locksmith Plus, Inc. also offers discounts to returning customers on select services. Call (503) 575-9210! to learn more about special offers in your area. Also, please do not hesitate to mention if a young child is locked in the car. We recommend calling the police if the safety of the child is at all in question. ALL OF OUR EXPERT LOCKSMITH SERVICES, INCLUDING EMERGENCIES, ARE AVAILABLE 24/7. WE NEVER CHARGE EXTRA FOR LATE NIGHTS, WEEKENDS OR HOLIDAYS. AND WE COME TO YOU, SO CALL US NOW AT (503) 575-9210! Our licensed, bonded and insured locksmiths are trained and equipped to help you with any lock, key or security needs you may have. When you need help right away your local Portland locksmith technician will come directly to your vehicle, home or business. While speed is our specialty it’s no problem for us to accommodate your schedule by making an appointment at the time most convenient to you. Additionally, you can come on into our shop in SW Portland during regular business hours for key duplication services at low, direct from the source prices. To take advantage of the best locksmith Portland, OR has to offer. Give us a call anytime at (503) 575-9210 ! Locksmith Plus, Inc. is a rapidly growing, nationwide locksmith service provider, based in Portland, OR where we take great pride in the work we do. Our dedication to doing the best work with the best attitude shows in every aspect of our business. We strive to make a positive locksmith experience for every customer who calls on us for help by serving their unique needs with precision, professionalism and respect. Stop by our locksmith shop in Portland at 5901 SW Macadam Ave #110 (97239), or arrange with the office to have a technician meet you there if your issue is unique! Completely satisfying our customers is our number one priority. With every job we do comes a guarantee of its quality and durability. If you are in any way concerned about or unhappy with the work we’ve done we encourage you to, please let us know! We will go to any length to make things right and assure your safety and security. That being said, our dedication to excellence on all counts means just about all our customers are happy customers, but we’d love nothing more than to prove it to you. Make the choice of fair prices, friendly service and premium quality work and products from Portland Locksmith Plus, Inc.! Our professional technicians excel at lockouts, ignition repair, and replacement, trunk unlocks, car key replacement and can even repair a broken car door lock! Moreover, Portland OR Locksmith Plus, Inc. can also repair or replace internal locks such as the one in your glove box. We’ve invested in training and technology to allow us to service vehicles of all makes, models, and years, something many other locksmiths cannot say. 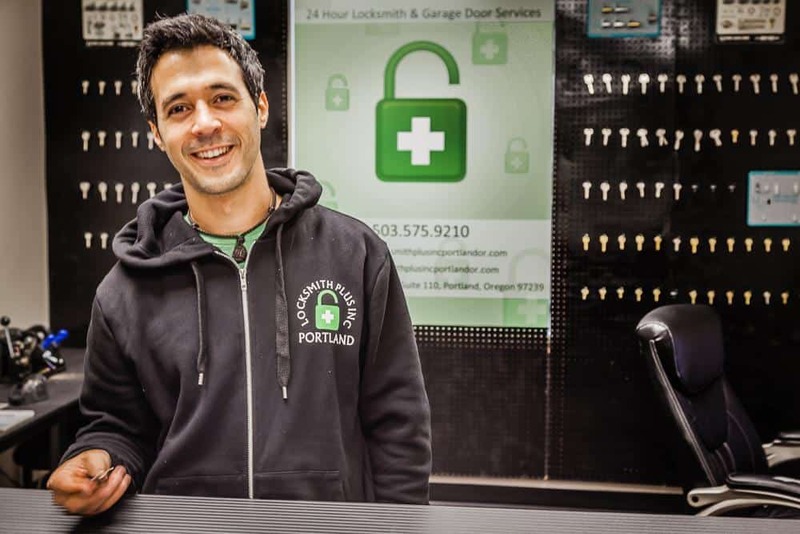 PORTLAND LOCKSMITH PLUS, INC. PROVIDES EMERGENCY ROADSIDE LOCKSMITH ASSISTANCE TO ANYBODY IN NEED IN AND AROUND THE PORTLAND, OR METROPOLITAN AREA. 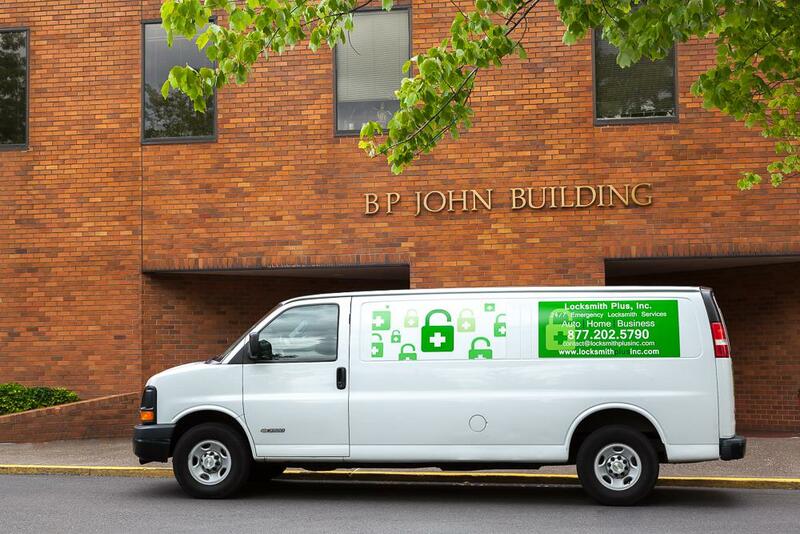 The mobile locksmiths in Portland respond to any call within 40 miles of downtown. We strive to serve as many as possible though and so are willing to make exceptions if you are in need, especially in emergency circumstances. If you are a traveler and not sure if you are in our service area, please do not hesitate to call us at (503) 575-9210. Our extensive knowledge of our hometown means we can get around fast! Locksmith Plus, Inc. can replace and program keys and ignitions for nearly every car, regardless of make, model, or year. We have the parts, skills, and capability to replace keys on foreign cars as well as domestic. As a leader in the professional Portland locksmith industry we excel in the most important aspect of our job – home safety and security. Unlike many companies we are truly full-service which means our residential services include updating security systems, Mul-T-Lock installations, lock replacements, free security estimates and much more! 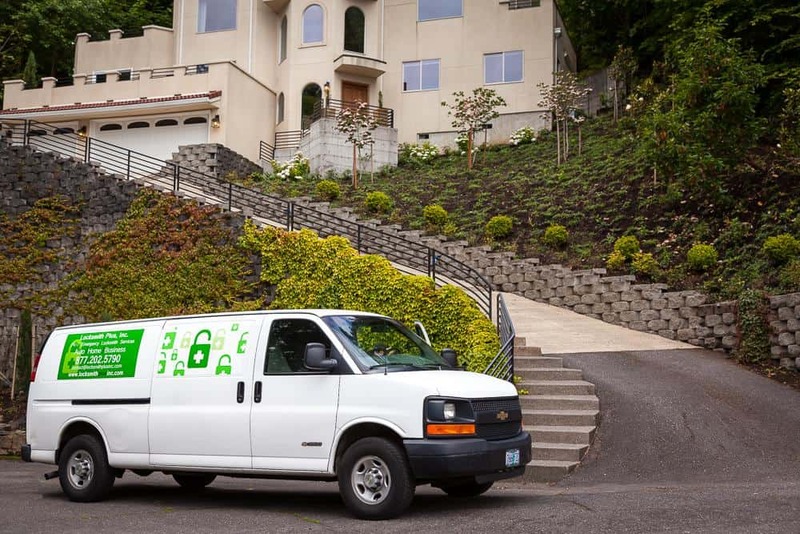 We are confident in our work which is why we boast being the best residential locksmith Portland has. 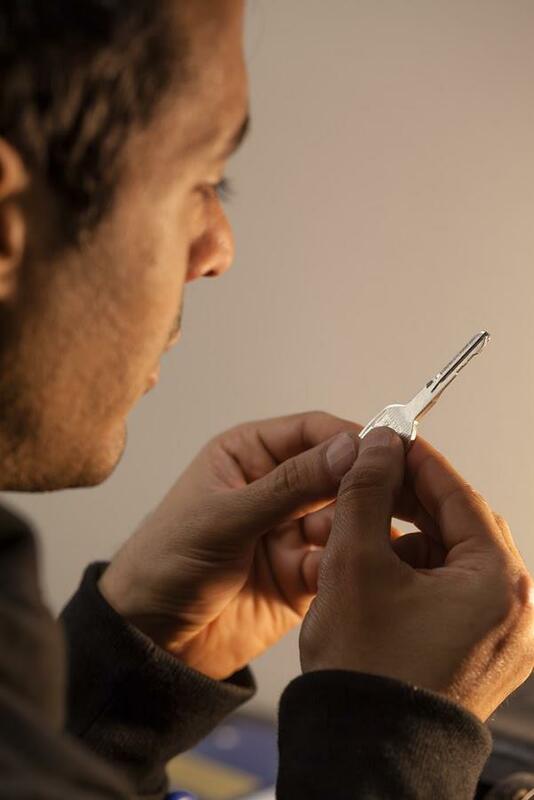 THE HOME SERVICES WE OFFER INCLUDE BUT ARE NOT LIMITED TO LOCK REPLACEMENT, LOCK REPAIR, LOCK RE-KEY, HIGH SECURITY LOCKS, PADLOCKS, SAFE OPENING AND MORE. The security of your home is of utmost importance. Portland OR Locksmith Plus, Inc. takes this fact very seriously, something that shows in our professional and high-quality service. When it comes to the safety of your home, be sure to choose someone you can trust to do the job right. Make us your choice and we will make sure the security of your home is no longer in question. Our mission statement is, “The security of your business is our business!” We can re-key commercial deadbolts, mortise locks, commercial levers, or any other type of lock you may have. We also do panic bars and double deadbolts. We provide full-fledged commercial security services for bars and restaurants, small shops and boutiques, office buildings, warehouses, government buildings, etc. Call Locksmith Plus Inc for service today! WE STRONGLY SUGGEST THAT WHEN REPLACING LOCKS, YOU REPLACE YOUR LOCKS WITH A HIGH SECURITY COMMERCIAL LOCK, SUCH AS A MUL-T-LOCK, MORTISE LOCK OR DOUBLE DEADBOLTS. As with other services, commercial services at Portland Locksmith are available 24 hours a day, 7 days a week. We hope this prevents your regular business operations from being interrupted by the work we do for you. 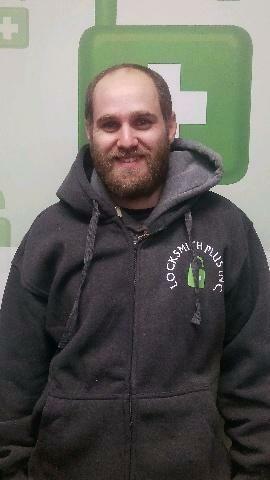 We are honored to have other locally operated businesses partner with Locksmith Portland OR. Nick at Locksmith Plus is the best. Locksmith Plus, Inc. Portland OR is conveniently located at 5901 SW Macadam Ave #110, Portland, OR, 97239. Our shop is inside the B.P. John Building on SW Macadam Avenue across from Subway and Starbucks. We are also on the first floor. There is a directory at the entrance of the building that will direct customers to our store. There is also a back entrance that is slightly closer to our store, which is unit #110. We are available 24 hours a day! We are licensed with the Secretary of State as well as certified by the Oregon Construction Contractor’s Board. VISIT OUR OTHER PAGES TO LEARN MORE OR TO SPEAK WITH US DIRECTLY AND HAVE ONE OF THE BEST PORTLAND LOCKSMITHS ON THEIR WAY TO YOU. GO AHEAD AND GIVE US A CALL AT (503) 575-9210 !